Haven’t we all at least once read about the African wilderness, South American rainforests or Asian alpine mountains? Although for most of us the wilderness conveys a symbol of far away and exotic places, it is also in Europe where the nature stays as fettered as it had been centuries ago. Thus millions of the Europeans still live near places where you can hear wolfs howl at night, where bears walk on forest paths and where, in the fall of summer, you can see mighty buffalo engaged in a fight. For centuries, wild nature has been pushed back into the most remote places however, despite that, modern society has managed to develop not only a new relationship to restrained nature, it has also come up with new ways to protect it. 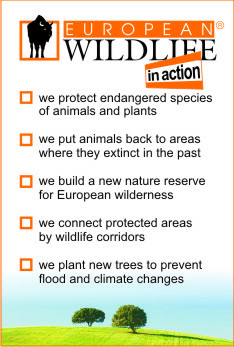 Establishment of non-state reservations is one of the possibilities of preserving wild nature in Europe for future generations. 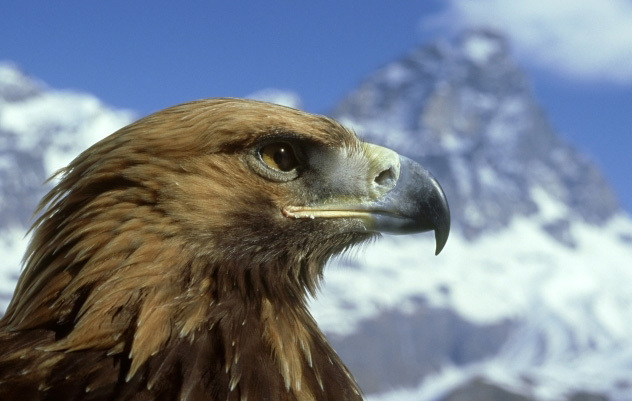 This bird of prey, worshiped by native Europeans, was used as a symbol on banners of Roman legions. Excessive hunting in the past almost caused its extinction in many European countries, in some it disappeared completely. Thanks to preservation programmes, the number of Golden Eagles has started to increase again. There are nearly fourteen thousand Brown Bears that now live in Europe in ten separate populations. Their habitat spans from the west of Spain to the east of Russia and from the north of Scandinavia to southern Romania and Bulgaria. In France the bears are critically endangered. 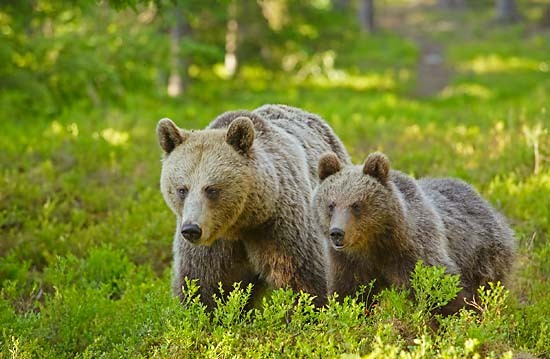 There are not many wild bears in Central Europe and none at all on the British Isles. 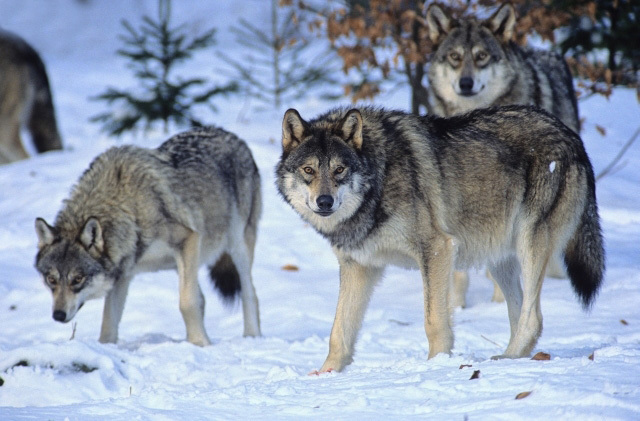 Extermination of the Wolf in England in 1486 influenced its future existence in Europe. 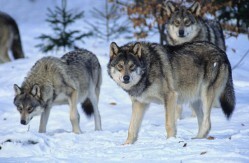 At present there are few wolves in Western Europe and hunting makes their numbers even smaller. 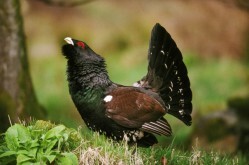 They are very rare in the Balcans, Scandinavia and Eastern Europe. Polar bears are the biggest predators in the world and the biggest out of eight types of bears. 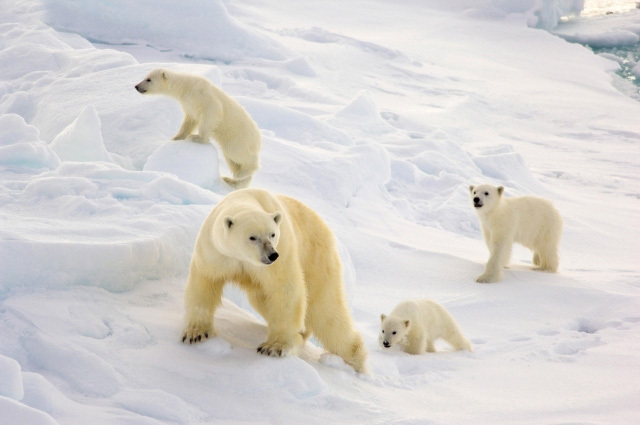 At present they are endangered due to global warming which, in the Arctic, has a negative influence on their natural habitat. Although this vari-coloured bird might as well be living in exotic forests of Amazonia or Central Africa rather than Europe, his home is Central and Southern Europe. 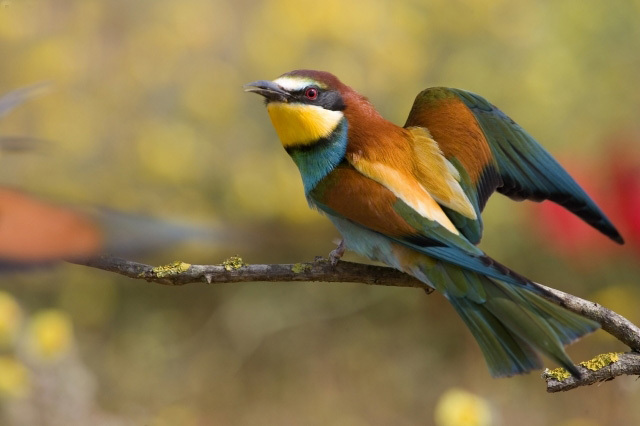 It is endangered in many countries, mainly because of river regulations that destroyed the loam banks – the natural habitat of nesting bee-eaters. The story of this mighty animal led to it becoming a symbol of nature conservation in Europe. 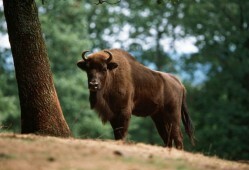 European bisons were exterminated at the beginning of the 20th century, a few of the last european bisons living in zoos and private breeds were preserved, which is why European Wildlife has bison as its emblem. People do not often see lynxes in the woods due to their camouflage. They are, nevertheless, indispensable for sustaining an undisturbed and healthy ecosystem and ensuring the natural regeneration of vegetation in European forests. 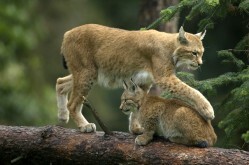 A hundred years ago it was hunted in many European countries, now it is at the edge of extermination. It was not only hunting that caused the dramatic disappearance of this Wood Grouse, but also an intensive forest management. This present inhabitant of Northern forests of Europe originally lived across most of the continent. 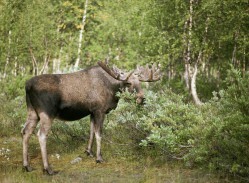 Exterminated in the Middle Ages due to hunting, the Moose cannot return back to its original habitat. For these animals, fragmentation of forests and dense network of highways constitute an unconquerable obstacle. © Copyright 2018 European Wildlife • All rights reserved.